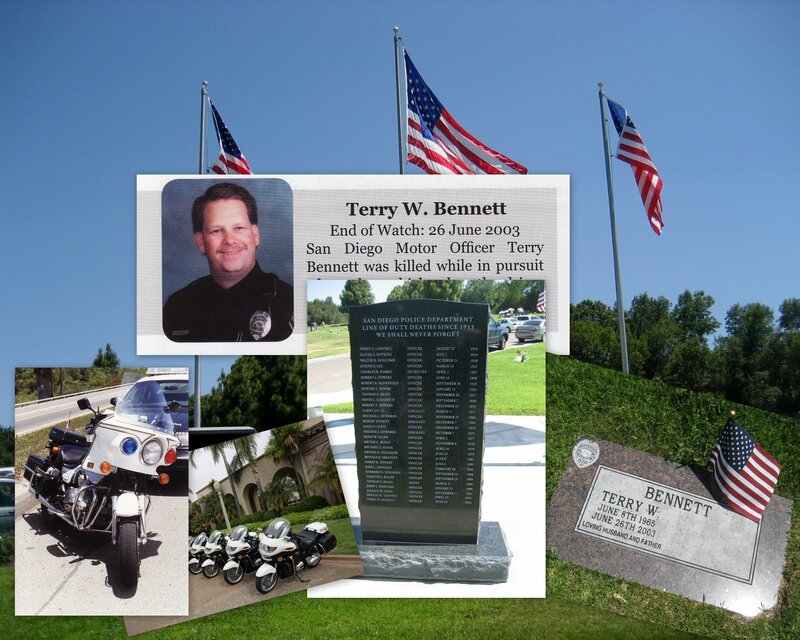 Seven years ago today, Terry, our dear friend and my husbands partner on the SDPD Motorcycle Squad, was taken suddenly while on duty. 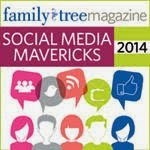 Surviving: Terry's two young son's and his wife. 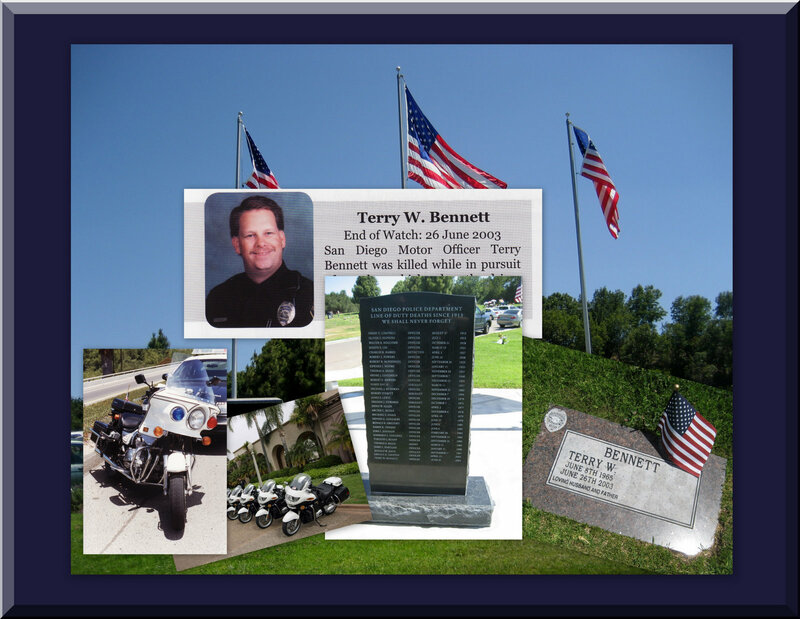 Terry is missed deeply and will forever be remembered. Nice Post Gini!! So glad Terry had friends like you and Steve! So sorry for this loss...beautifully done. Thank you everyone...Terry was just a super person and we miss him so very much.